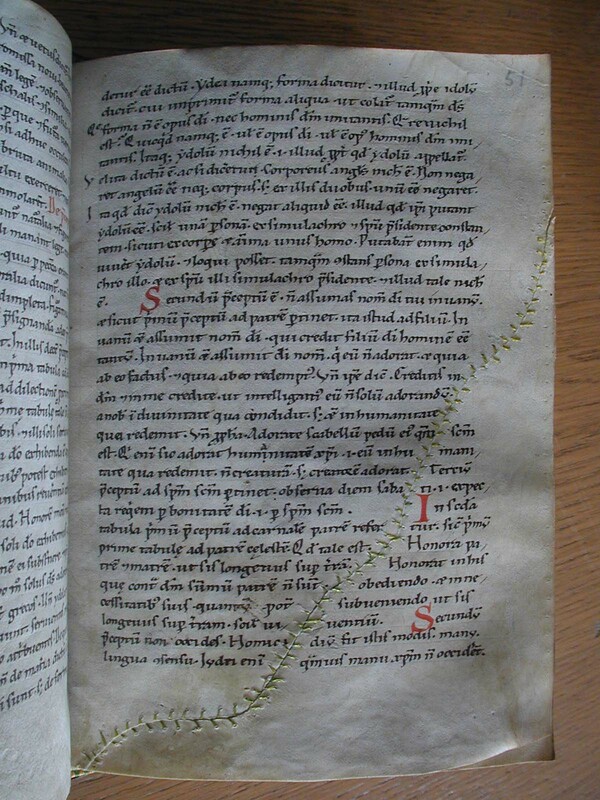 In image 4, note the stitching before the manuscript was copied onto vellum. 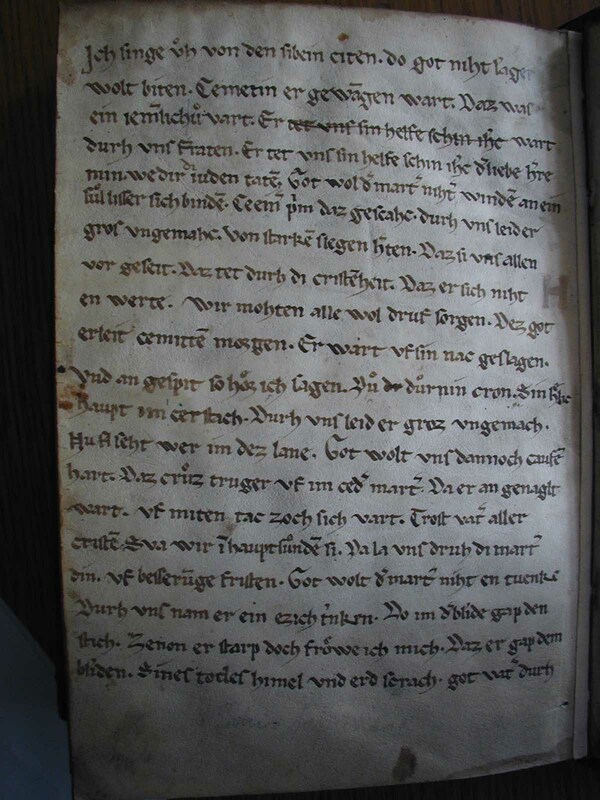 Images 6 and 7 are from a German poem that appears bound in the same Fulgentius codex, from the 15th or perhaps the late 14th centuries, attributed to the ”Monk of Salzburg,“ who was active at the court of archbishop Pilgrim II of Puchheim in the second half of the 14th century. 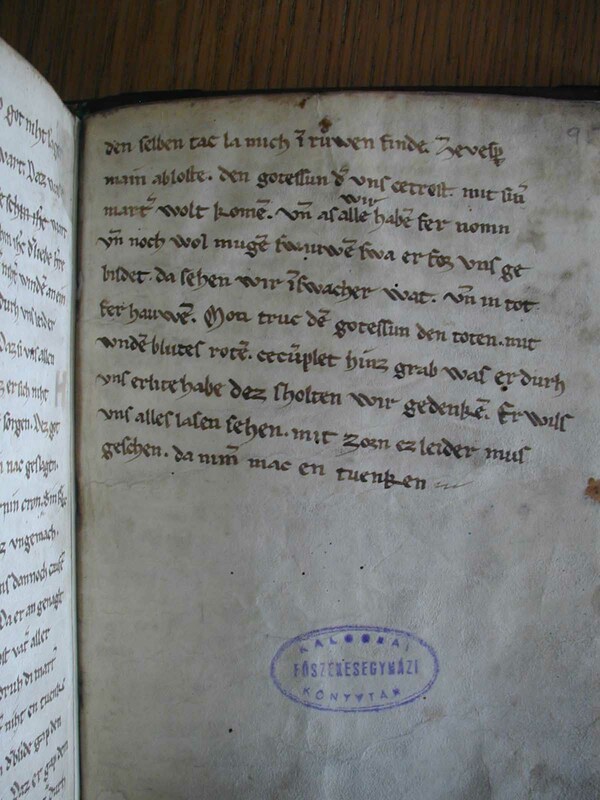 The title of the work is ”Lied von den sieben Tagzeiten.“ This Monk wrote some very secular poetry. 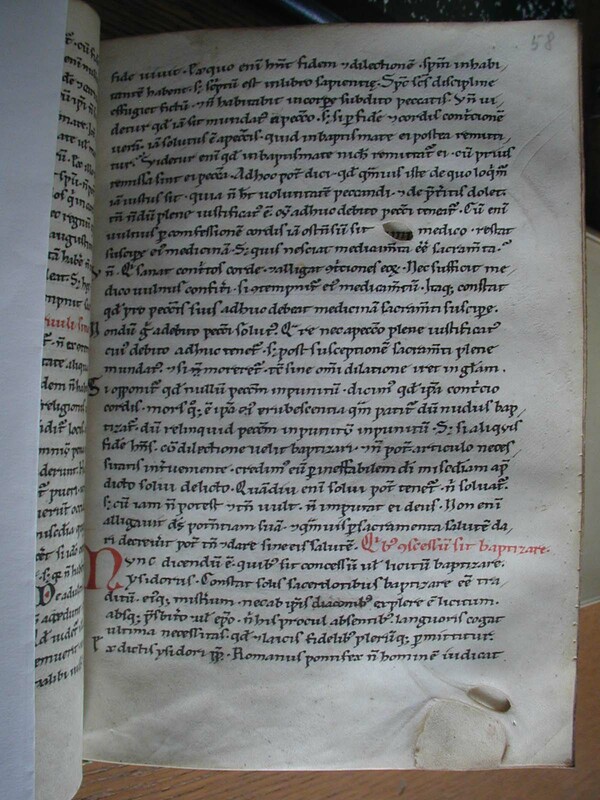 The script is gothic minuscule. For a transcription of the poem into modern characters, click here. 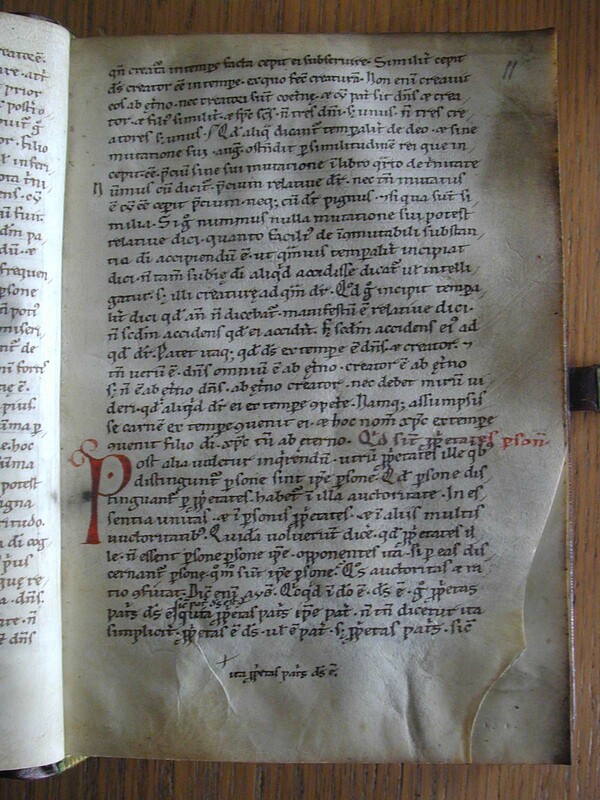 For the translation, click here Thanks to Prof. Evelyn Meyer of Saint Louis University for both the transcription and the translation. 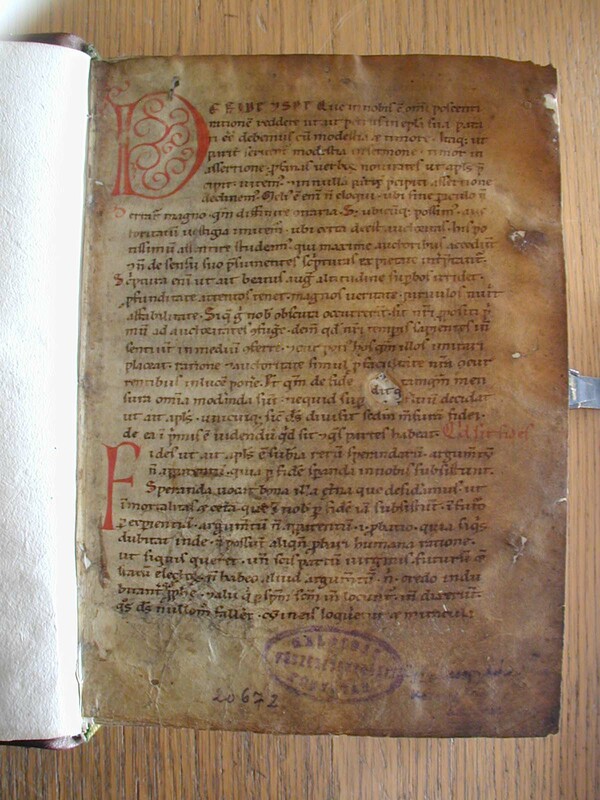 Contrary to the belief of the Kalocsa librarian, to the effect that the codex was purchased by Archbishop Patatich, it is likely that it was bought by Archbishop Kollonics who was archbishop after Patatich, having first been bishop of Nagyvárad (1780-88). 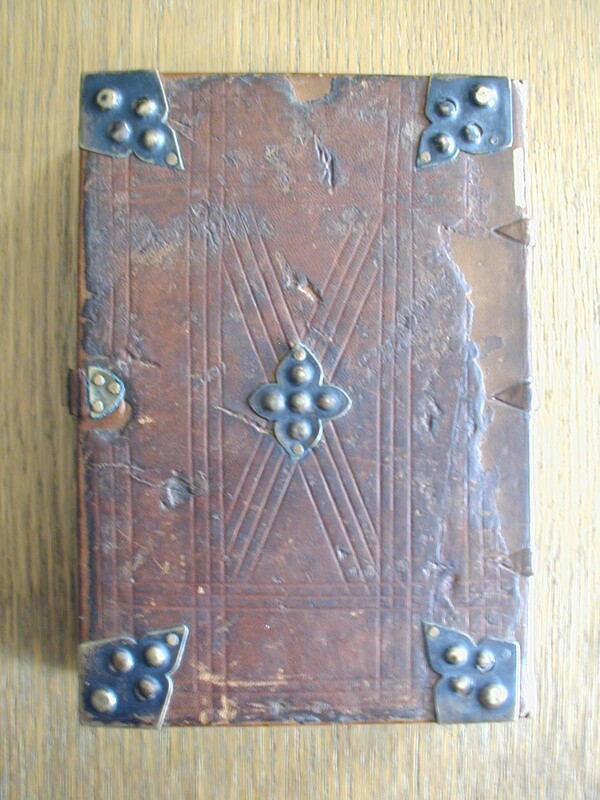 It thus seems likely that the codex was purchased in the early 1780s in the auctions of monastic libraries. See Pál Winkler, A kalocsai érseki kastély és a főszékesegyházi könyvtár története, Kalocsa, 1932, p. 40 and András Vizkelety, Beschreibendes Verzeichnis der altdeutschen Handschriften in Ungarischen Bibliotheken, Budapest, Akadémiai Kiadó, 1973, 2 vols. ; 2, pp. 214-215.